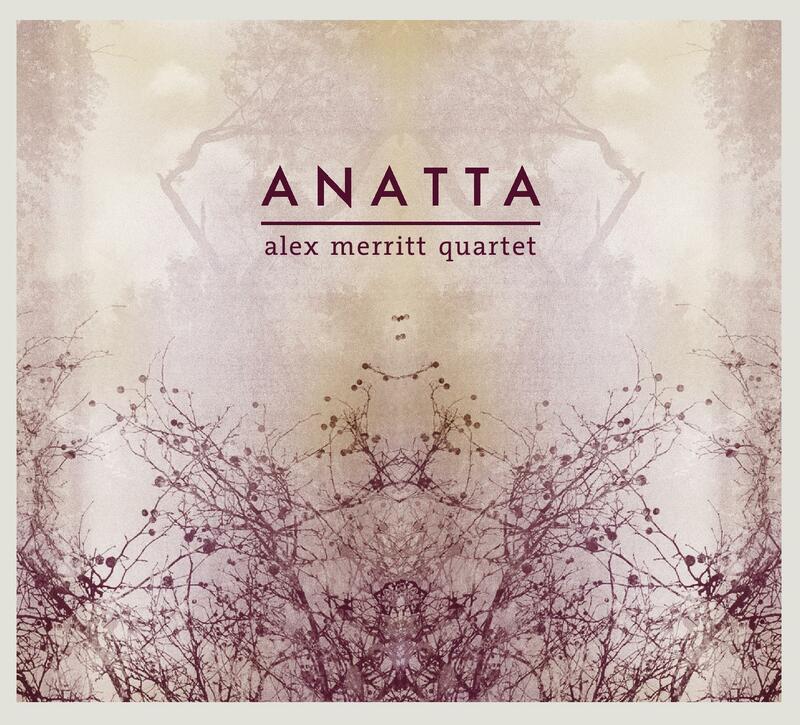 The quartet’s debut album ‘Anatta’ is out now on F-IRE records. We launched ‘Anatta’ to a busy Vortex on December 10th, 2015. See the Gigs page for further tour dates for the quartet later this year and throughout 2016. The concept of ‘Anatta’ is drawn from Buddhism. It is described as ‘a moment of awakening, whereby one can come to realise the illusory nature of self.’ In the creative process, we all experience times of flow where playing or writing feels effortless; this might be seen as a glimpse of no-self. Should we be able to free ourselves from the fetters of self, a process described by composer and personal influence Peter Schat as like ‘Houdini escaping from the straightjacket,’ all that is left is the moment. This is Anatta and it inspired the music for this album. Over 6 years of playing together the band has forged a unique sound and approach to its material be it Alex’s original music or Jazz standards (both of which feature on the album and at the quartets live performances). The music draws on a diverse range of influences. From within contemporary classical music Alex’s music draws inspiration from composers such as Henri Dutilleux, Bela Bartok, Alban Berg and the 2nd Viennese School as well as a large pool of influences from the jazz canon notably Warne Marsh, Joe Henderson and John Coltrane. The close empathy in the quartet that has developed over time creates an exciting foundation for musical interaction, risk-taking and reinvention. Alex met John while he was growing up in Cambridge and John was studying for his Bmus at Gonville and Cauis. John was very encouraging to Alex and they have enjoyed a strong musical partnership since this time. John is one of the most original and creative voices on the UK jazz scene as his Parliamentary Jazz award for his album ‘Midas’ is testament to. His playing balances invention and speed of thought with musicality and lyricism and never ceases to impress with its adaptability and resourcefulness. Sam Lasserson is one of the most developed and distinctive musical voices to have emerged from the UK Jazz scene in recent years. The dynamic pairing with drummer Jeff Williams allows Sam to fully realise his musical thought. This has also been well evidenced in their recent work with Ethan Iverson (the Bad Plus), John O’Gallagher and Jeff Williams’ own UK band. that balances intellect and musicality with a striking technical command. Jeff Williams is a jazz drumming legend who has been in the midst of the newest developments in jazz for the past 40 years. In a career starting when he was 19 working with Stan Getz through working with Dave Liebman and Lookout Farm and other seminal figures of the New York loft scene of the 70’s and 80’s as well as being in bands of Joe Lovano, Lee Konitz, Bill Frisell and Paul Bley along the way; Jeff has worked with many of the major figures in Jazz and brings this weight of experience to every musical situation he is a part of. Jeff is a unique thinker and his playing, which is distilled, profound and highly personal, reflects this completely. Moreover, Jeff transmits an unparalleled warmth and depth of knowledge when he plays that one cannot fail to be both inspired and moved by.